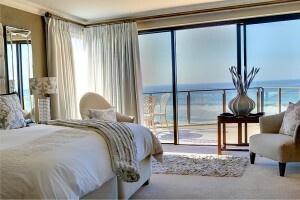 This breath taking suite offers both ocean and mountain views. Stylishly decorated in shades of white, silver and grey. 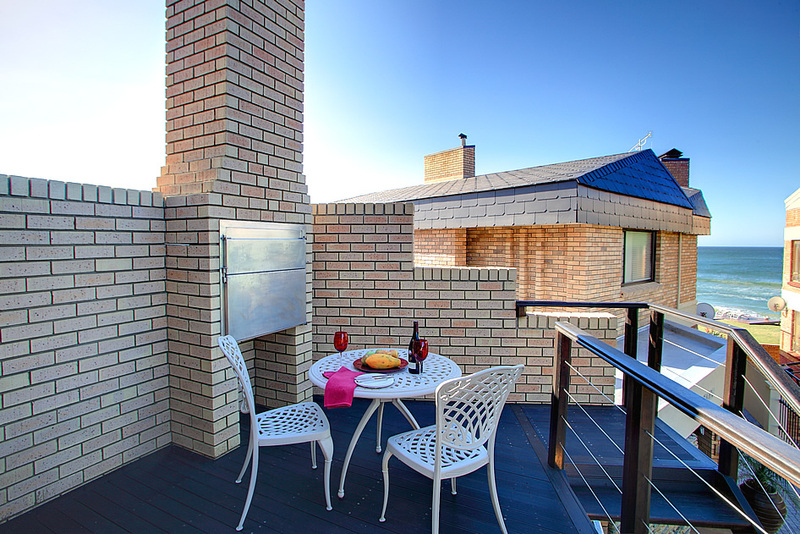 Enjoy a sunset drink or picnic basket ordered from kitchen, on the private patio equipped with patio furniture and deck chairs. Spoil yourself in the spa bath in the spacious and full modern bathroom, complete with a selection of our personalized luxury amenities. 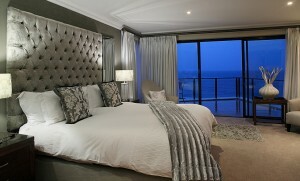 This superior double room is on the beach front. 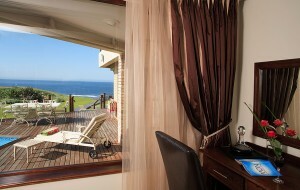 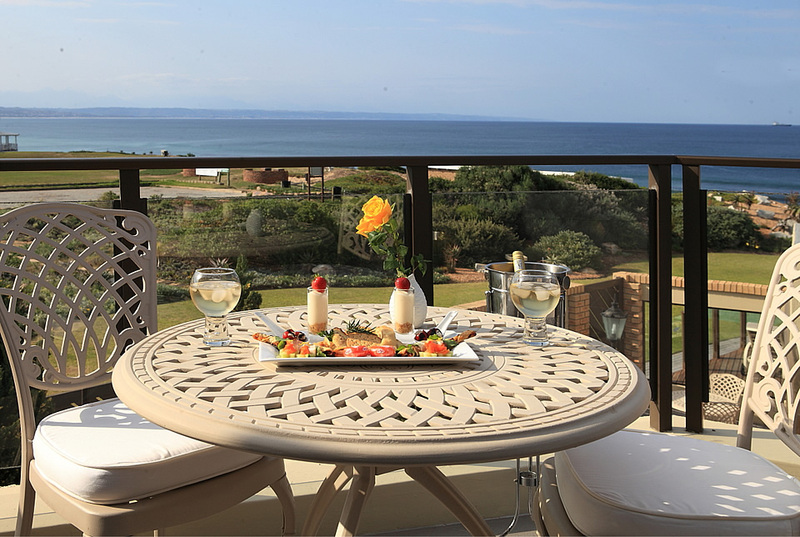 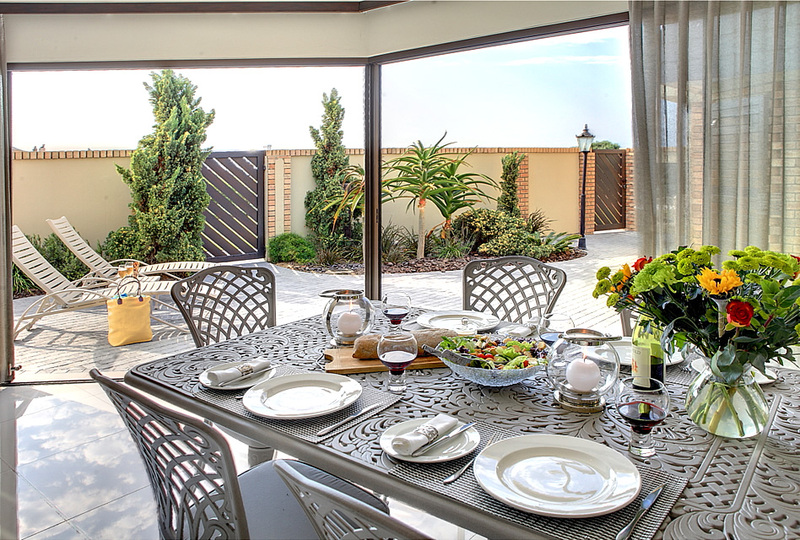 It consists of a magnificent view over the ocean from the sliding door/window. 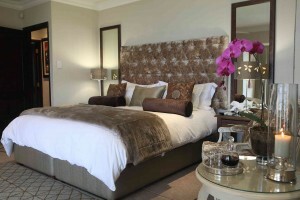 Decorated in lovely colours of champagne beige with a hint of olive green. 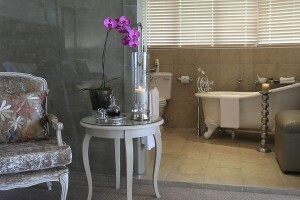 Attention to detail, luxury and elegance! Spoil yourself in a Victorian bath complete with our personalized luxury amenities. 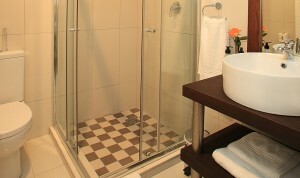 Also consist of spacious shower. 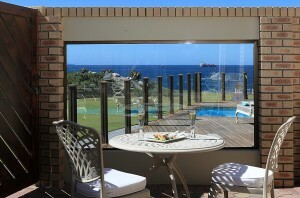 Enjoy a glass of wine from the mini-bar or wine menu, laugh in good company, with the moon pouring soft over the ocean. This is a magnificent opulence at its all-time best. 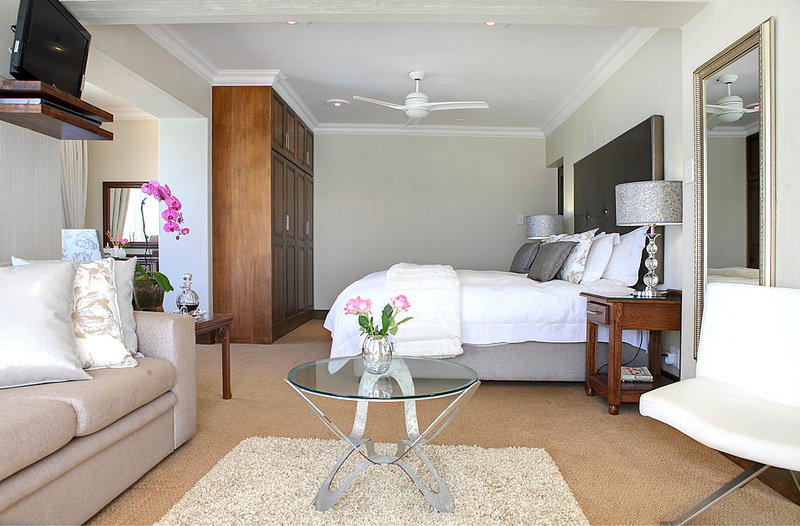 This suite has a unique natural beauty of its own. 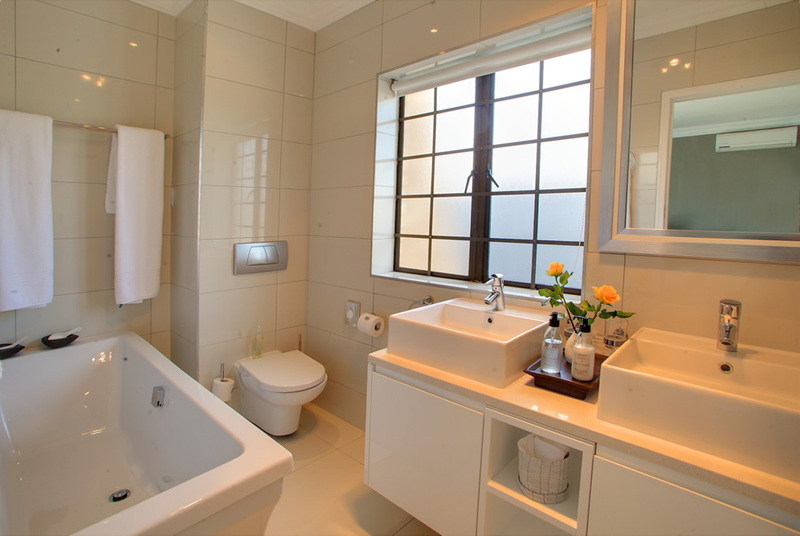 This spacious unit, with the natural colours of soft green and gold, together with its own exclusive décor, creates a sense of absolute calm and romance. There are wide windows, with a view over the ocean, and it has its own very private garden: Yes, indeed, a thing of beauty is certainly a joy forever…! Enjoy the evening beauty with a cocktail right on the dunes, close to the beach. 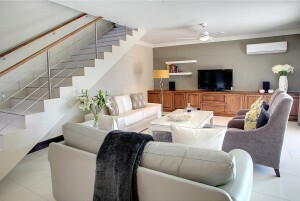 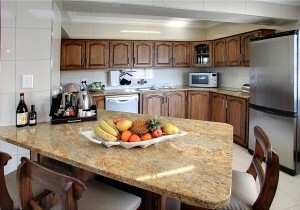 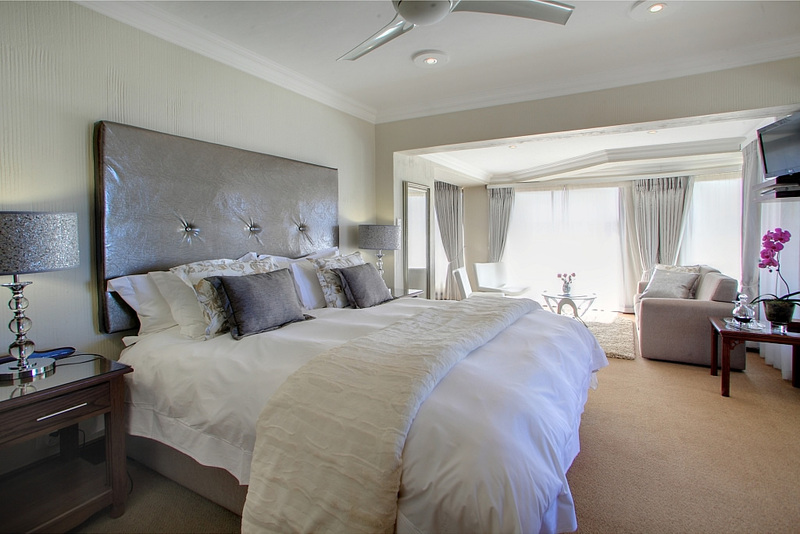 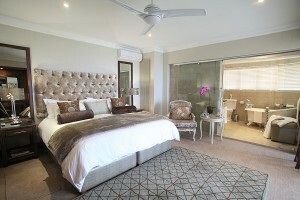 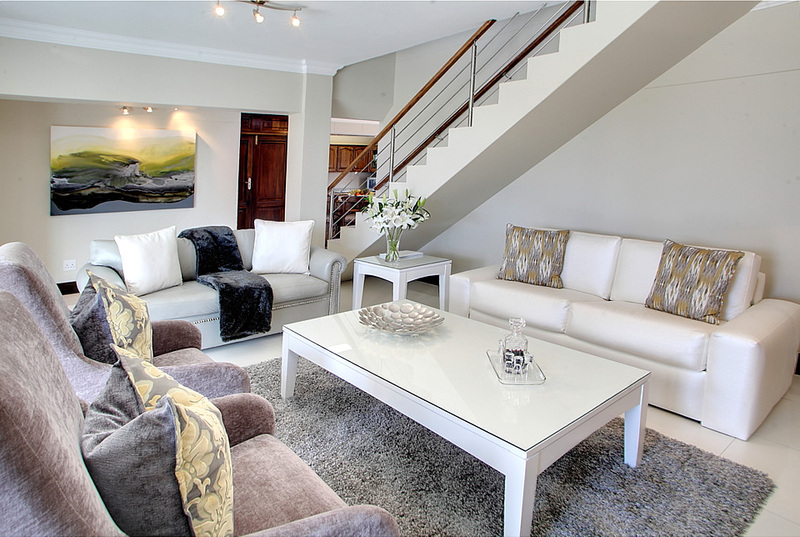 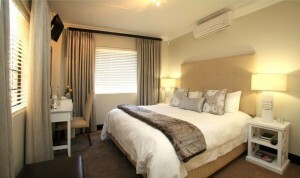 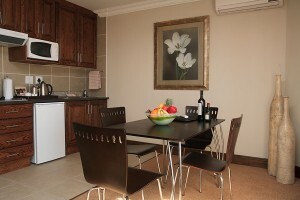 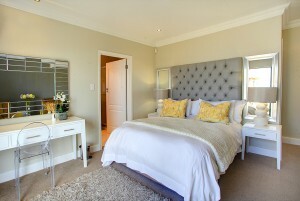 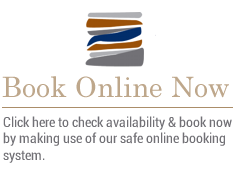 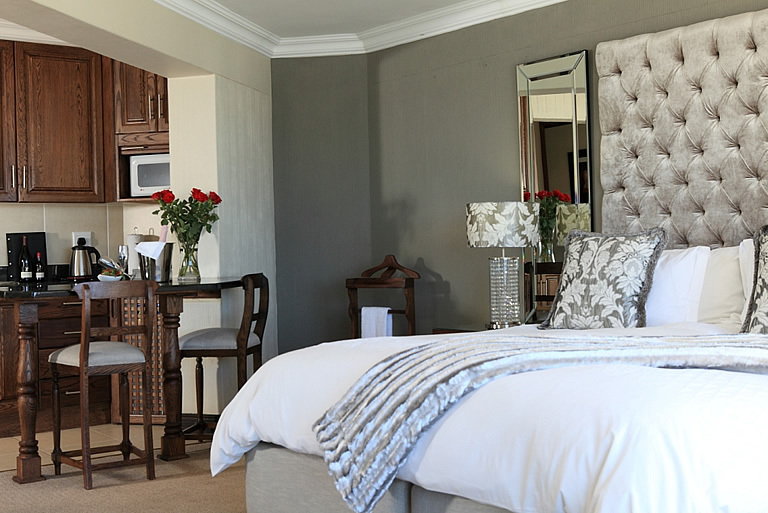 Suite 1 is our luxury duplex unit for two persons, with a B&B or self-catering option. Enjoy the privacy of your own garden entrance right on the beachfront. 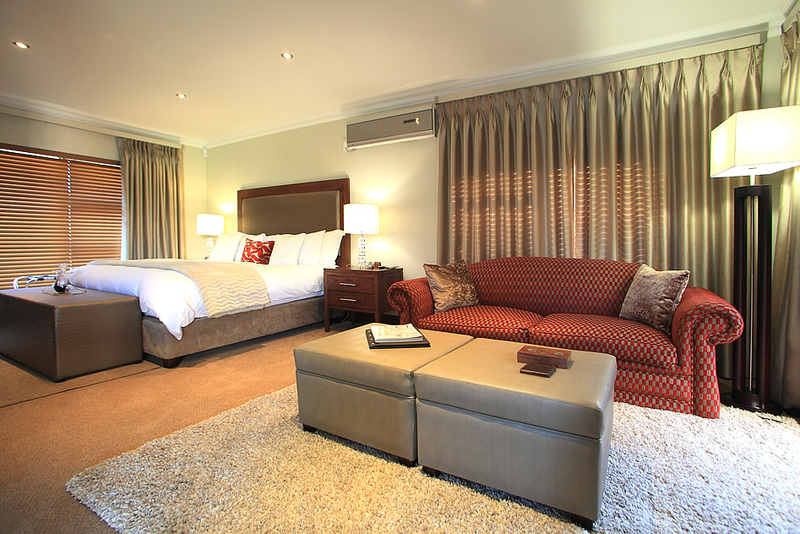 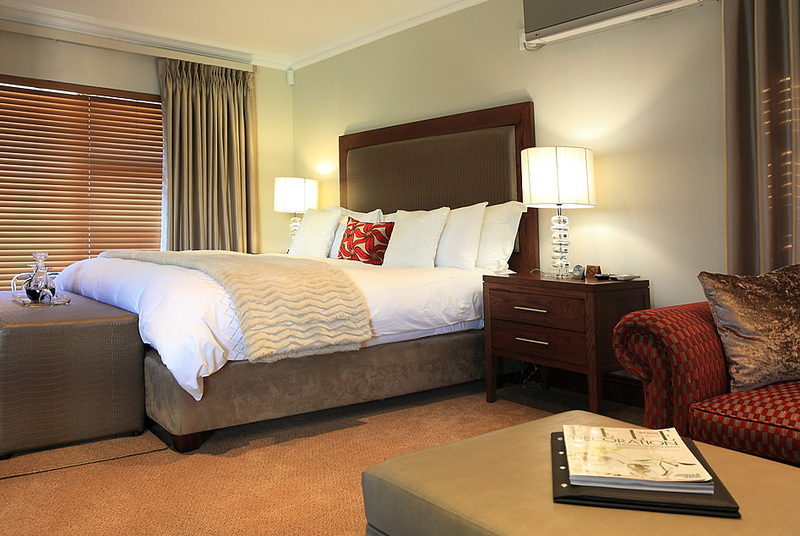 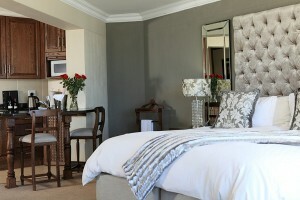 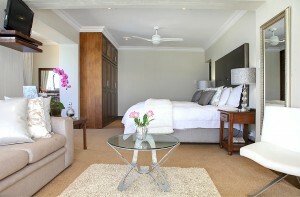 Each room is individually decorated in style and is fitted out with refined comforts. This suite has a private entrance and is stylishly decorated in shades of beige, brown and autumn softness. 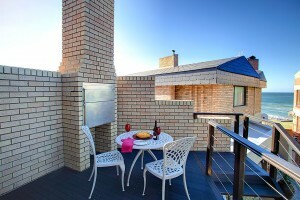 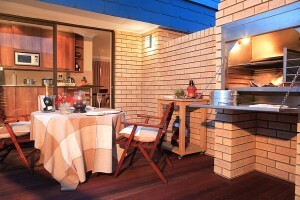 There is a private built-in BBQ on the deck which partly overlooks the ocean. 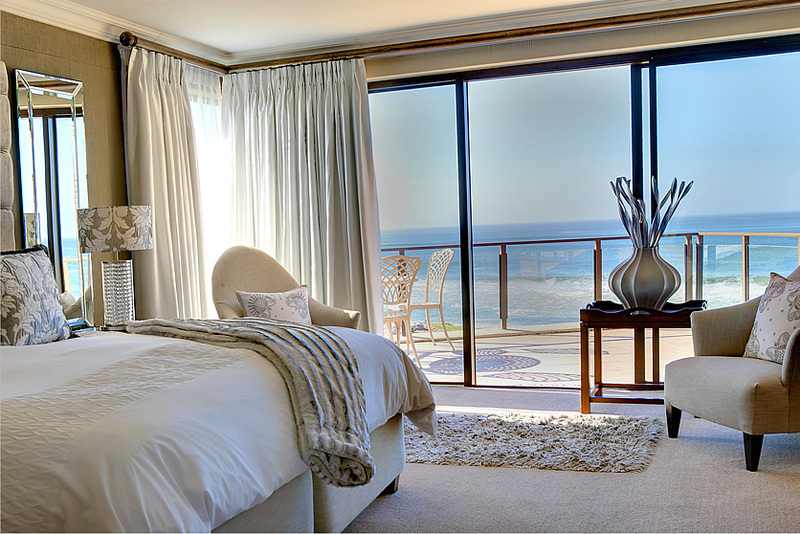 There is no sea view from the bedroom. 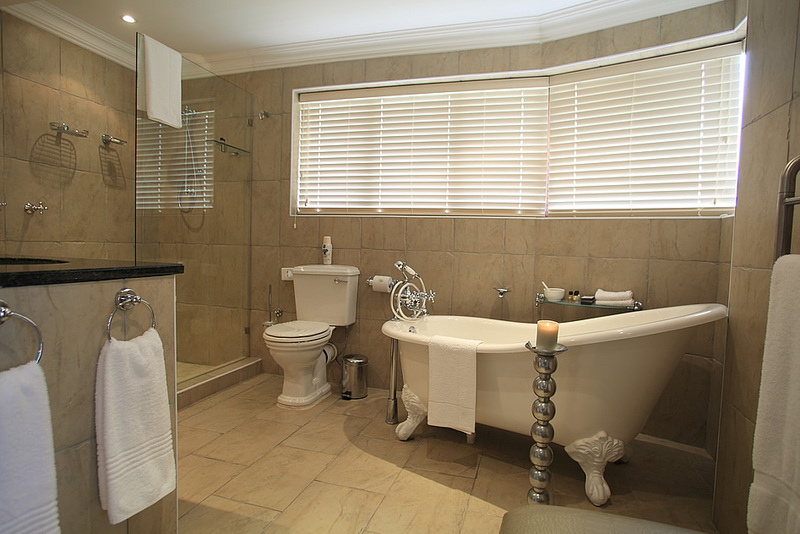 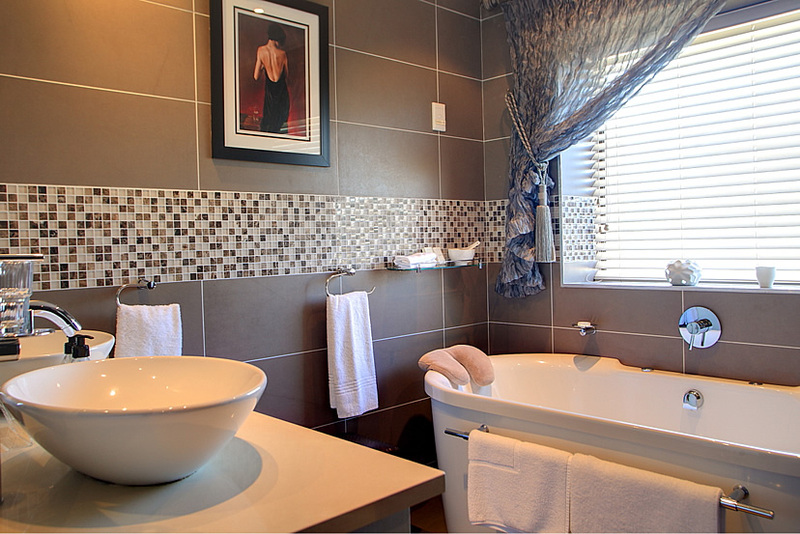 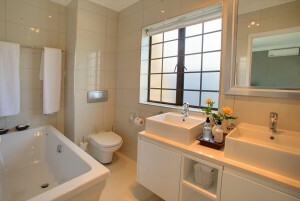 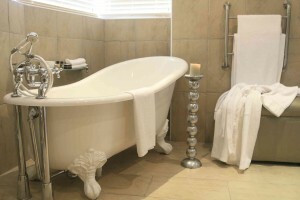 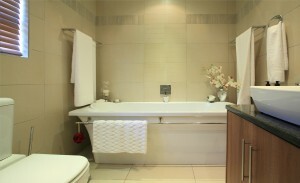 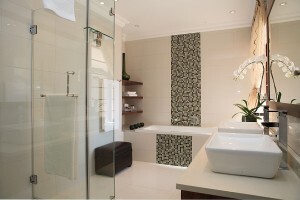 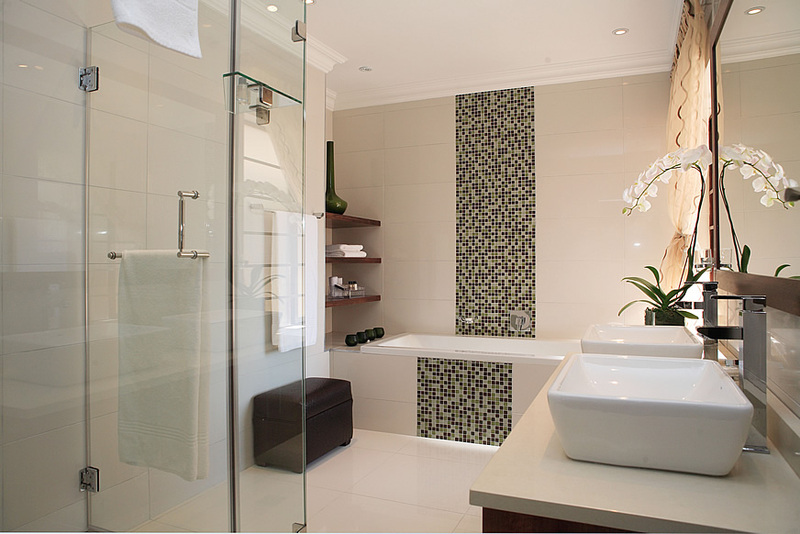 It boasts a fully modern en-suite bathroom with luxurious amenities and decorations. 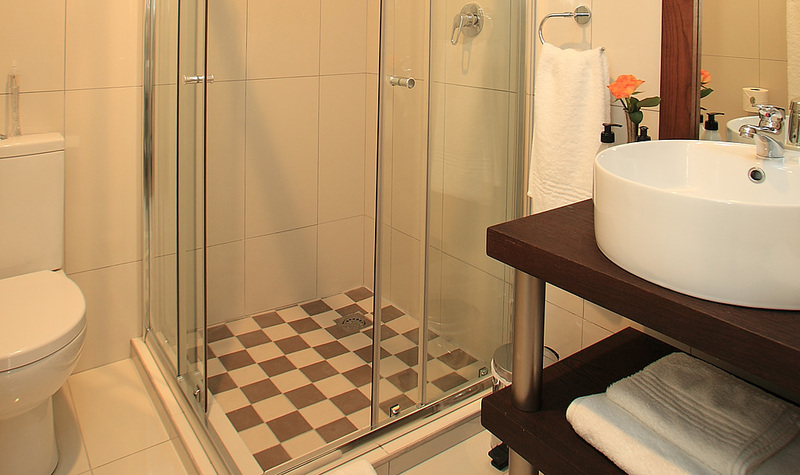 This unit sings a chorus to anyone’s immaculate taste.